UN nuclear inspectors have been invited to North Korea for the first time in three years, the country’s chief nuclear negotiator Ri Yong-Ho has confirmed. Ri Yong-Ho said the aim of the move was to implement a deal with the US. North Korea last month agreed to suspend nuclear and long-range missile tests in return for food aid. It also agreed to allow UN inspectors in, the US said. The invitation comes three months after Kim Jong-Un came to power following the death of his father, Kim Jong-Il. But North Korea’s pledge to co-operate with the international community was thrown into doubt last week, when Pyongyang announced plans to launch what it called a rocket-mounted satellite. North Korea said the launch – between 12 and 16 April – would mark the 100th birthday of its late Great Leader Kim Il-sung. Any launch would be seen as violating UN Security Council resolutions, and the US has described the plans as “highly provocative”. The Vienna-based International Atomic Energy Agency (IAEA) – the UN’s nuclear watchdog – announced it had received the invitation from North Korea on Monday. 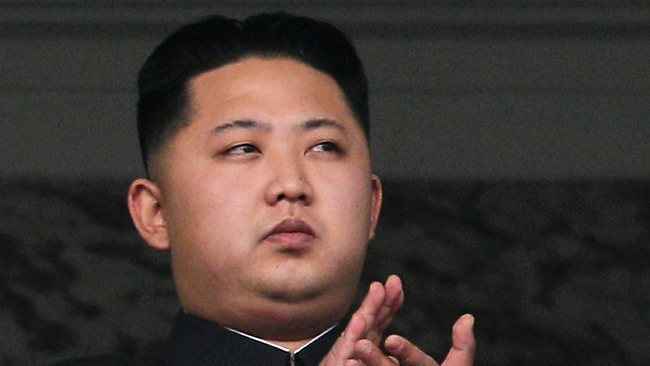 It said it would discuss the possible visit with Pyongyang and “other parties concerned”. “Nothing has been decided yet,” IAEA spokeswoman Gill Tudor was quoted as saying by Reuters news agency. It is unclear how much scope for inspections the IAEA would be given. In the past North Korea has limited access to key sites. Pyongyang expelled IAEA inspectors 10 years ago after a deal with the US unravelled. In 2003, the secretive Communist state withdrew from the Nuclear Non-Proliferation Treaty. The inspectors were allowed back several years later – but were thrown out again in 2009. Jessica Simpson explains her larger than average baby bump: "I have a lot of amniotic fluid"